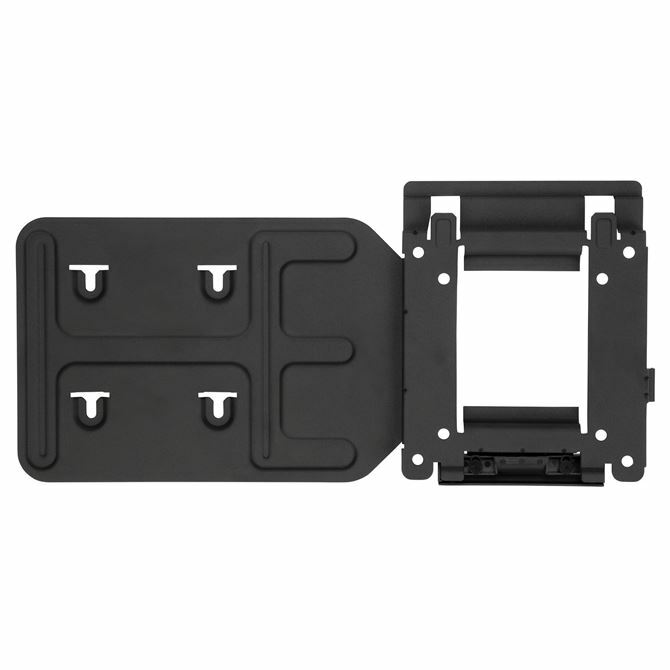 The Targus Docking Station VESA Mount – Black (ACX003GLZ) holds your dock behind your display for even greater space savings. 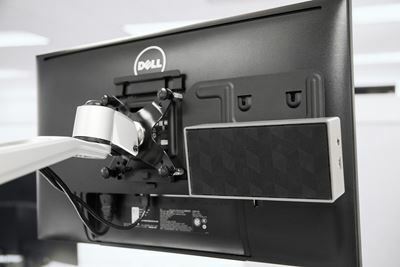 Ideal for shrinking desktops and tight spaces, the Docking Station VESA Mount frees your desk from additional clutter. 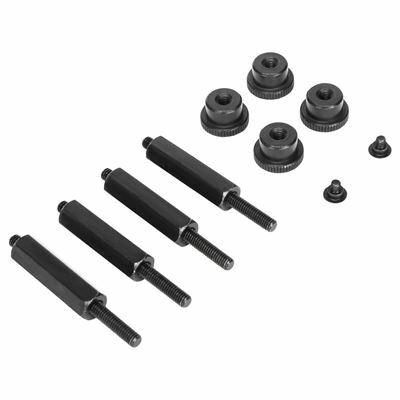 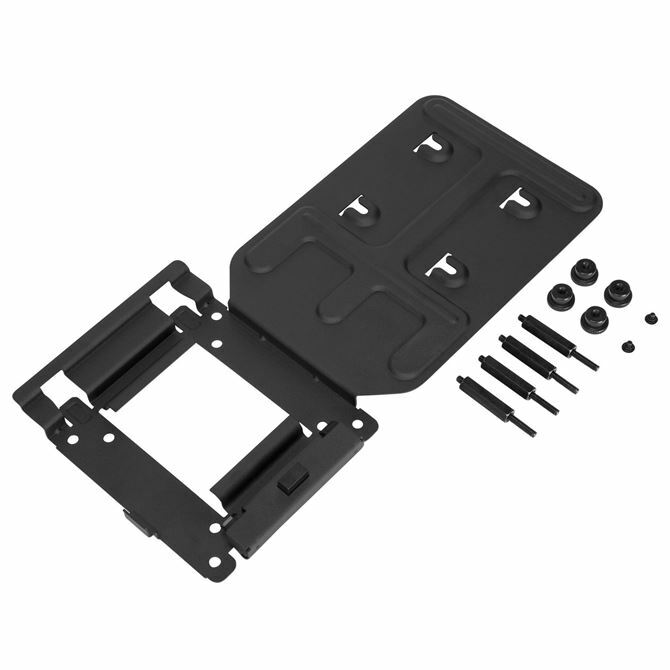 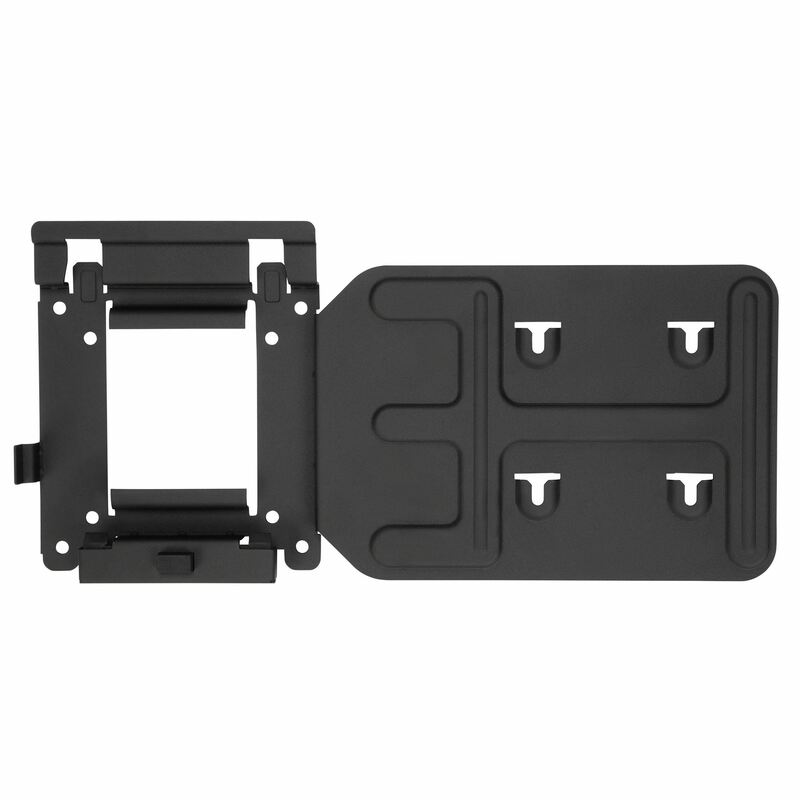 Easily attach the bracket to your VESA-compatible monitor or Ergo arms with the four included mounting screws. 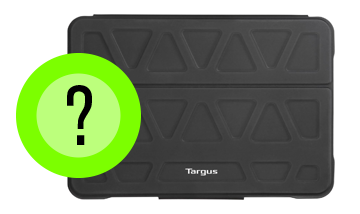 Two additional mounting screws are then screwed into the bottom of your compatible Targus dock, allowing it to effortlessly slide onto the mounting bracket in a vertical or horizontal position. Designed for monitors with 75mm x 75mm or 100mm x 100mm VESA size and compatible with select Targus docks (DOCK190, DOCK220, DOCK520).